So my therapist says I’m too angry. And my girlfriend says I’m too angry. And that pathetic loser I ran off the road says I’m too angry. Then even a judge says I’m too angry. 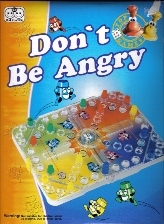 And my kids buy me “Don’t be angry” for Christmas. So this is my therapy, I figure maybe if I vent all my spleen on a blog I’ll stop pushing pensioners out of my way in the bank queue. Lots of things make me angry – I think I can come up with a new one every day of the year. We’ll see. I have an email address. It’s with Yahoo! The name on the email address is ambient(underscore)cacophony – as a teeny-tiny intelligence test (and to thwart spambots) that’s all the details I’m giving. Oh, a clue: it doesn’t really have the word “underscore” in brackets in the middle. It has an actual underscore “_” in the middle.